His birth was a time of chaos and great upheavals in both India and the Muslim Empire as a whole, and so he was orphaned at the tender age of fourteen. Thus raised in the same condition as Rasulallah . Once when watering his father’s garden, he came across a dervish, Hazrat Ibrahim Qanduzi (RA). He was deeply affected by the saint’s holy manner, and Hazrat Ibrahim Qanduzi (RA)’s presence transformed Khwaja Moinudeen Chishti (RA)’s inner being. His eyes were opened to the ultimate realities of the spiritual world and so he began his spiritual journey by renouncing all material things. He sold his father’s garden, all his possessions and distributed the money amongst the poor. Still at a young age, he arrived at the great centres of learning in Samarkand and Bukhara, Uzbekistan, where he swiftly became a Hhafiz and distinguished Alim. But still unsatisfied with this, he began a strict regime of prayers, meditations, fasting and self-renunciation which continued for years and grew more intense and vigorous until Allah granted him the exalted rank of sainthood. He used to fast for seven days and nights, breaking fast on the eighth with a small crust of bread soaked in water. At this point, he felt the need for a Sheikh, or spiritual guide, feeling the truth of the Qur’anic injunction, “O ye who believe! Be mindful of your duty towards Allah, and seek a means of approach unto Him, and strive in his way in order that ye may succeed.” (5:35) . He himself used to state, “Success is not possible without a guide.” He travelled extensively throughout the near East, and finally found a spiritual guide in Hazrat Khwaja Uthman Haruni (RA). In the twenty years he spent under his Murshid (spiritual leader)’s guidance, he attained perfection in tasawwuf and was awarded the Khilafat-e-Azam by Khwaja Uthman (RA). He offered many pilgrimages both with his Murshid and alone. It was during one of these, while in Madinah Sharif, that he was directed spiritually by Rasulallah to go to India and spread Islam there. After a full 20 years of hard training in Islamic mysticism under his great Murshid, Hazrat Khwaja Moinuddin (RA) was bestowed with Khilafat in the Chistiya Silsila. 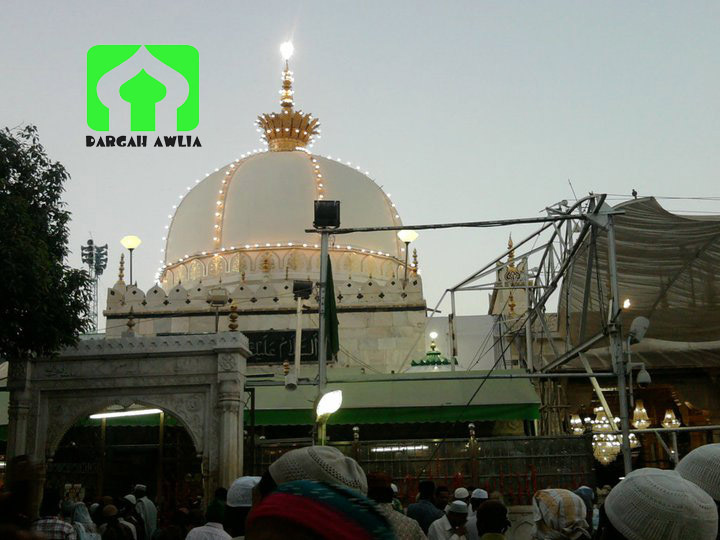 His Murshid, after advising him, handed over his Asa Mubarak (Sacred Staff), wooden sandals and Musallah (prayer mat) to Hazrat Khwaja Moinuddin (RA), saying that those Tabarukaat (relics) had come down from Sayyiduna Rasulullah in succession. 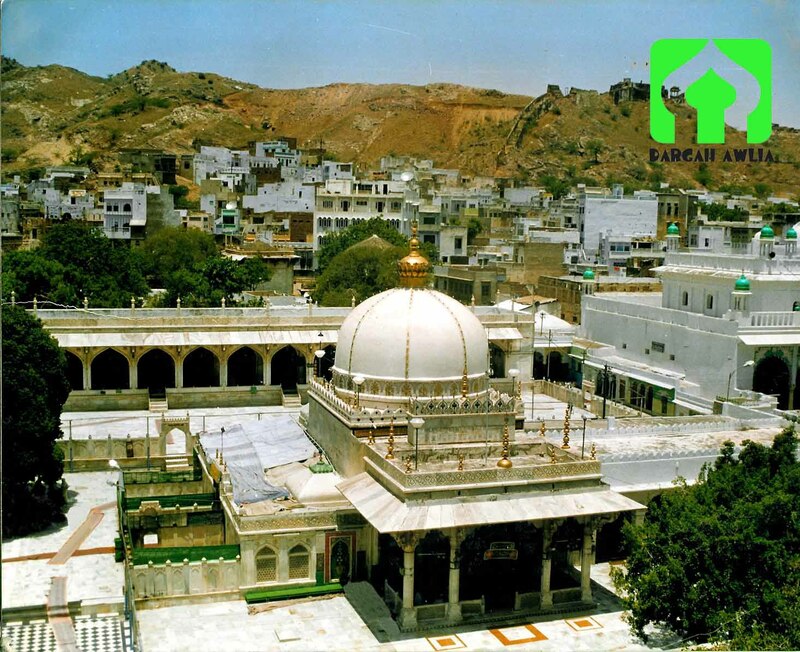 Not knowing where Ajmer was situated, the Holy Prophet appeared in Hazrat Khwaja Sahib (RA)’s dream and showed him where the city of Ajmer was situated. Along the way, he stopped in several places including Baghdad, Isfahan and Balkh. Spiritually hearing the great Saint’s statement, Khwaja Moinudeen Chishti (RA) immediately threw himself down and pressed his neck against the floor, signifying his submission to that truth. It was because of this type of humble obedience that Allah granted him the title, Sultan-e-Hind, for he is the leader and spiritual head to all the hundreds of Walis that have blessed India in after-times. Indeed, it was that Khwaja Moinudeen Chishti (RA) who arrived in India at a time of tremendous upheaval and moral decay. The Ghaznavi dynasty was in its last steps, and the Rajput kings were gaining power. Tyrannical rulers were making life unbearable for common people, especially the Muslims whose numbers were diminishing day by day. Yet India is not named “the land of Saints and Sufis” for just any reason; its people had inherited a wealth of spirituality that yearned for expression. 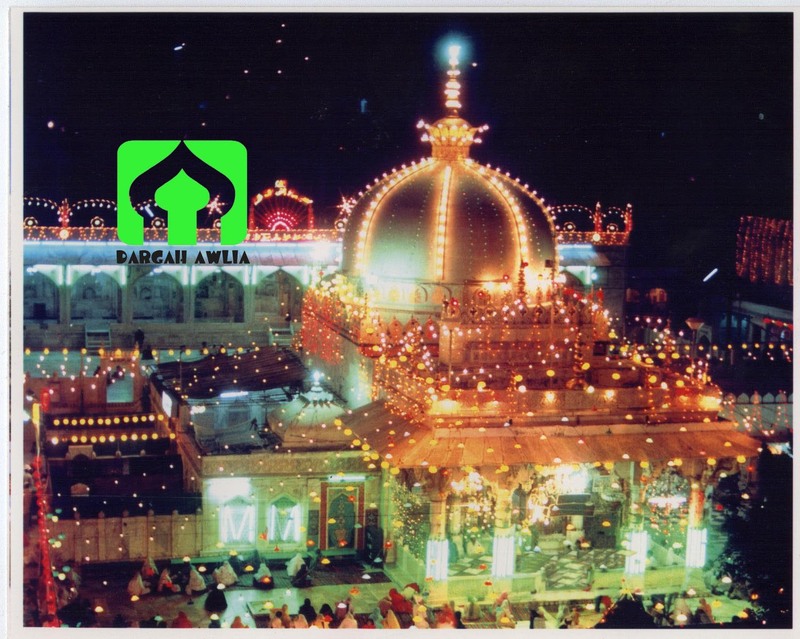 It was into such an arena that Khwaja Moinudeen Chishti (RA) stepped, a torch to India’s tinder. First he went to Lahore, a centre of learning where resided a great number of Muslim theologians, philosophers and sufis. Yet he soon left this place, for his divinely guided mission was not to men such as these, but rather to those who were deprived of the light of Islam. Thus he arrived in Delhi, which was to become the seat of his most famous successors. At the time, the city was a place of much fear and mutual hatred between Hindus and Muslims, but Khwaja Moinudeen Chishti (RA) began delivering his sermons in a soft and sweet tone. As a result of this kindness and forbearance, both Hindus and Muslims were turned towards the path of truth. The great Wali was revered and loved by those of both religions, a trend which, was to be the hallmark of Sufism in India. Soon, however, he left Delhi too, heading instead for the remote city of Ajmer by the command of Rasulallah , deep within the kingdom of the most powerful Rajput Prince in Northern India, Raj Prithviraj. This city was completely alien to Islam; no Muslims at all lived within its bounds. It was in this hostile environment that Khwaja Moinudeen Chishti (RA) and his forty disciples settled and began the bulk of his teaching. Very soon, however, he changed the entire civic atmosphere, gathering people of all races, castes and stations to the shining truth of Islam. His high morals and frugal lifestyle deeply impressed the Hindus and all the while, the beautiful messages of the Qur’an and Sunnah entered deep into their hearts. Soon they started to convert, multitudes upon multitudes, and the Prince became alarmed as even his courtiers and high-ranking servants took up Islam. It is interesting here to note that the Prince’s mother had predicted the arrival of Khwaja Moinudeen Chishti (RA), and had warned her son not to interfere with Khwaja Sahib (RA) lest he suffer total destruction. Whether Raj Prithviraj forgot this prophecy or ignored it is unknown, but he began to harass the Shaikh and trouble his followers. But Khwaja Moinudeen Chishti (RA), holding firm to the Islamic doctrine that, “Allah is with those who patiently persevere,” steadfastly carried on his peaceful mission. One day, however, he said, “the Prince will be captured alive, and his kingdom snatched away.” This prophecy was proven true not long after. The Prince was defeated by Sultan Shahabuddin, captured alive and brought into the presence of the Sultan, who ordered him executed. The power of the Rajputs was thus broken for more than three hundred years. 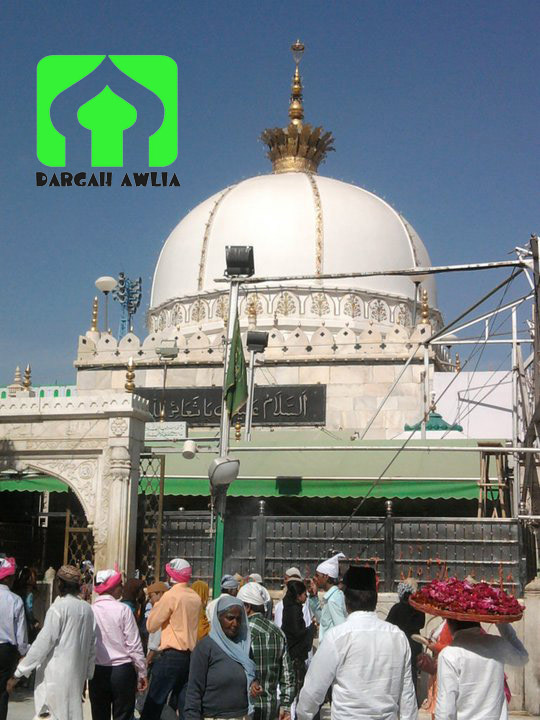 Khwaja Moinudeen Chishti (RA) carried on his work in Ajmer for 45 years, and millions entered Islam through his spiritual light and endeavours. Besides this great service, he also established permanent Sufi centres which were run by such mighty disciples as Khwaja Qutbudeen Khaki, Hazrat Nizamudeen Awliya, Hazrat Baba Fareed Ganj Shakar and Khwaja Nasirudeen Chiragh Delhawi (RA). On the 29th Jamaad-us-Saani, before entering his bare cell for his usual meditations, he advised his attendants that he should not be disturbed. When his Khalifa-e-Azam, Khwaja Qutbuddeen Kaaki (RA), arrived from Delhi on the 6th Rajab, 633 AH, he found no answer to his polite knocking. Then the mureeds unhinged the door and there they found that their beloved Murshid had already left the world, at the ripe age of ninety-six. To the wonder and amazement of all, upon his forehead was inscribed letters of light which said: He was the beloved of Allah, and he died in the love of Allah. No beggar in your court is ever deprived.